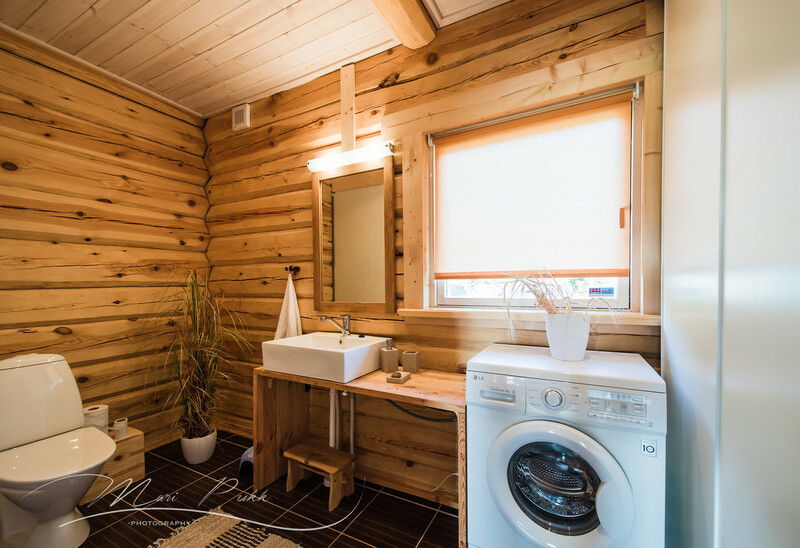 Päikese holiday house – cozy, spacious and bright log house is handmade by local workers. The house has a healthy indoor climate and it is acoustically and aesthetically pleasant. All structural and finishing materials as well as furniture are as environmentally friendly as possible. 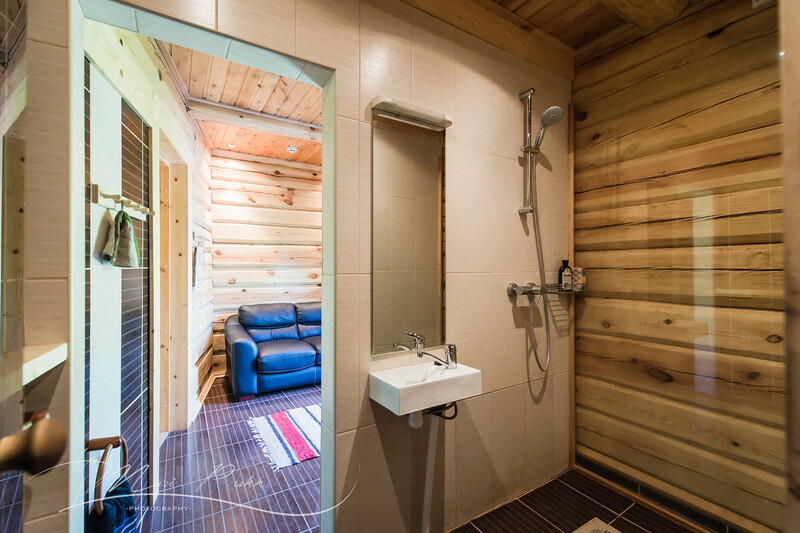 On the first floor you will find spacious kitchen-living room (with fireplace), private bedroom (bed – 160 cm in breadth), toilet and sauna with washroom. 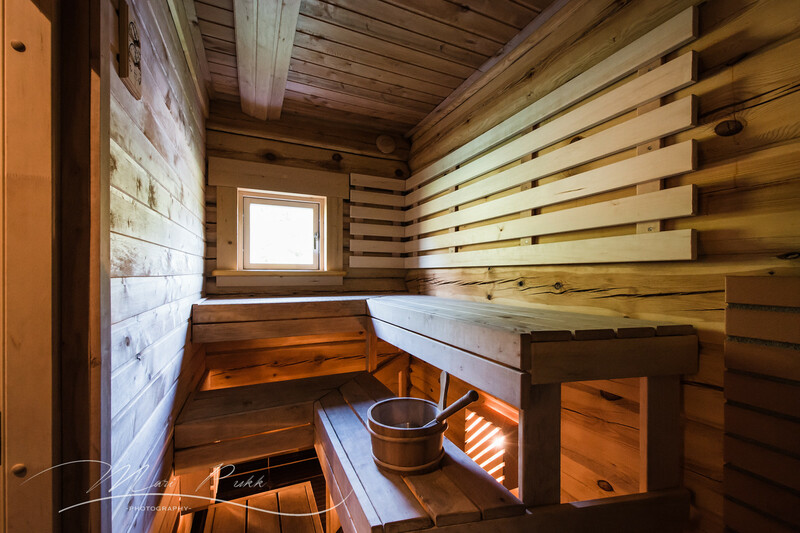 On the second floor there are 2 private bedrooms and a large atrium with sofa (+ possibility for 5 extra sleeping places). 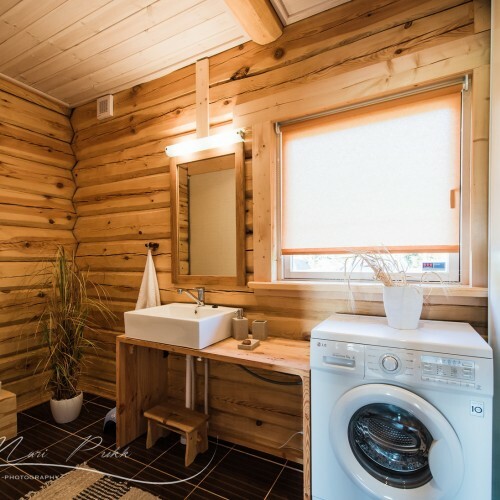 In the house you will find hairdryer, iron and washing machine. 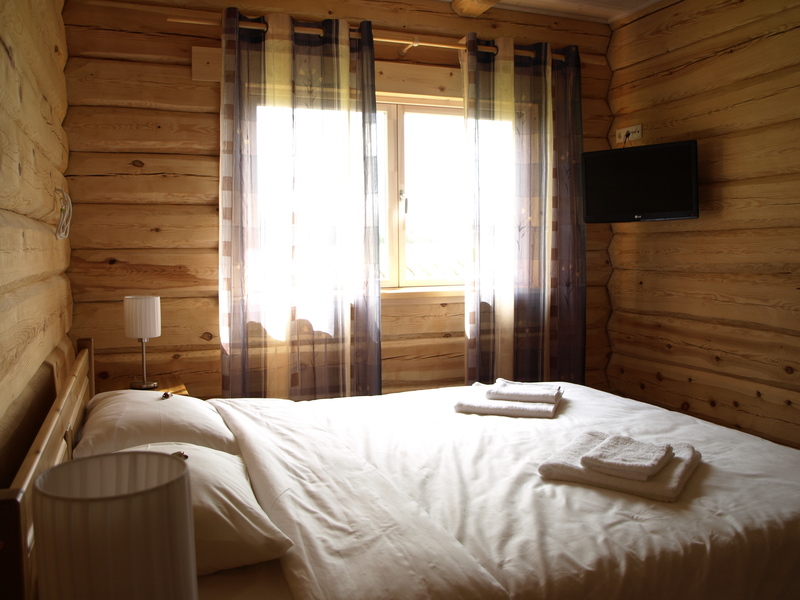 Päikese holiday house is bright and warm. The house is heated by air-water heat pump. 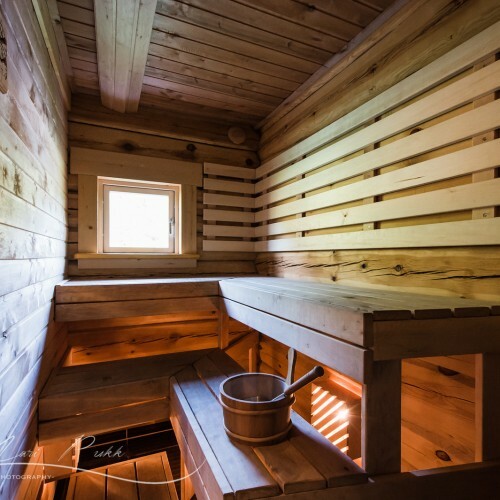 In addition to floor heating on the first floor, the house has a fireplace which gives extra heat during crispy winter colds, but also creates a nice atmosphere at all times. The spacious kitchen enables several cooks to prepare delicacies at the same time. Wide sunny terrace/veranda is ideal for setting the breakfast/dinner table in the fresh air (in case of suitable weather, of course). Internet (possibility for distant work) and television is available. There is a playground for children next to the house. The box for toys includes exciting games for everyone. 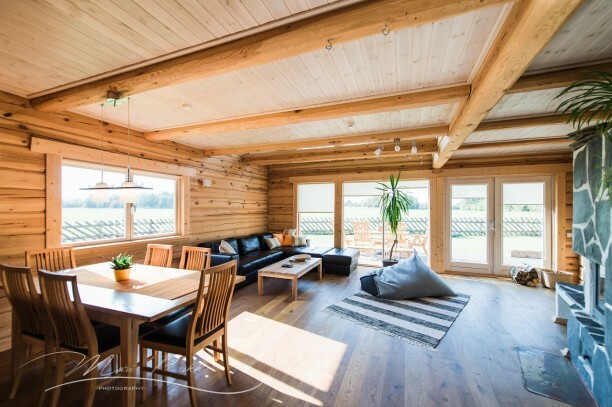 The house is refulgent and large windows allow you to enjoy all the colorful seasons of Estonia. In the area it is not unusual to meet a deer, badger or fox (even from the window we have enjoyed the scenery where those animals are looking for food in the meadow). The house has been built keeping in mind family values and friendship, in a way everyone here can feel welcomed and cozy. So take some time come to the nature, cherish it and be a part of it. Due to the great location of the house you can just walk around and enjoy beautiful landscape or visit some fascinating places in the area.